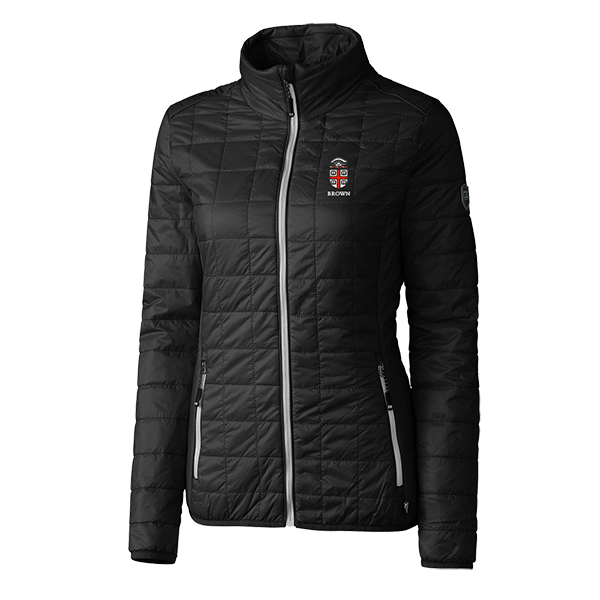 Please select option for Boathouse Women's Equinox Jacket - Black. 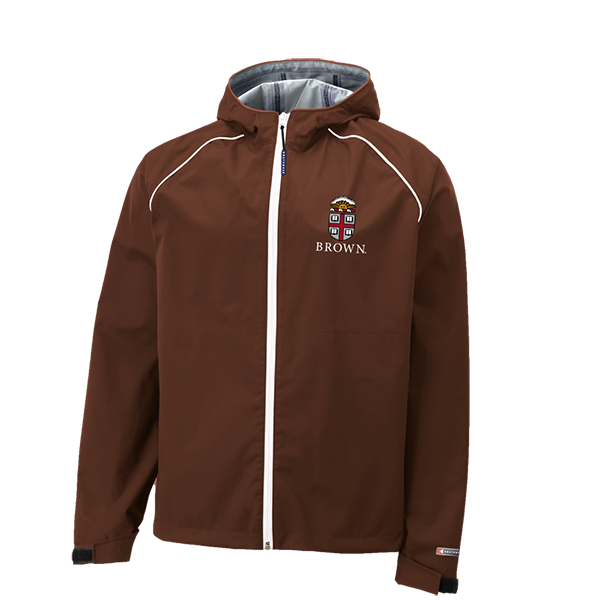 Please select option for Boathouse Women's Helium Jacket - Brown. 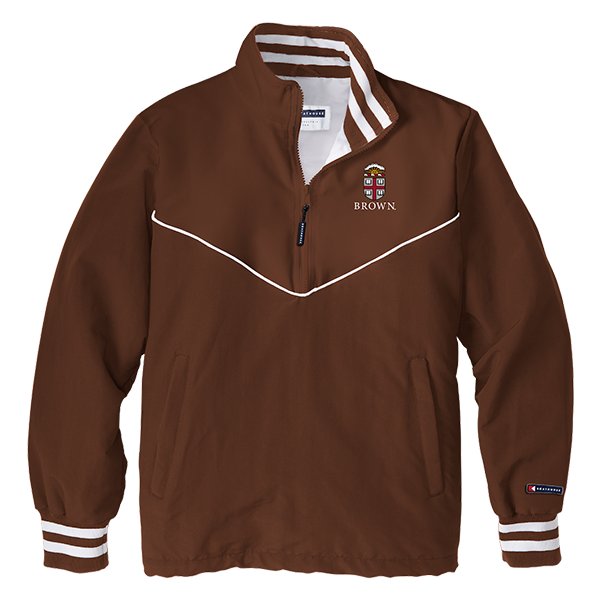 Please select option for Boathouse Women's Mission 1/4 Zip Jacket - Brown. Champion Body/Sleeves 100% polyester, sleeve panels/waistband 88% polyester and 12% spandex. Grey women's hooded jacket with black waistband and sleeve panels. 'BROWN UNIVERSITY' printed in white with black shadow around Crest in in white and black and '1764' printed across sides of Crest. Please select option for Champion Gray Convergence Zip Women's Jacket - $54.99. The Dockside is a great medium weight jacket made for an active lifestyle. Wind and water resistant, jacket is crafted of 94% polyester, 6% spandex shell that is bonded to a mesh lining, giving the wearer a stretch-easy comfort. Features include, feminine full-zip styling with a convertible spread collar, interior wind-flap, adjustable snap cuffs and zippered side pockets. Perfect jacket for when you are on the move. Please select option for Charles River Women's Khaki Dockside Jacket - $69.99. 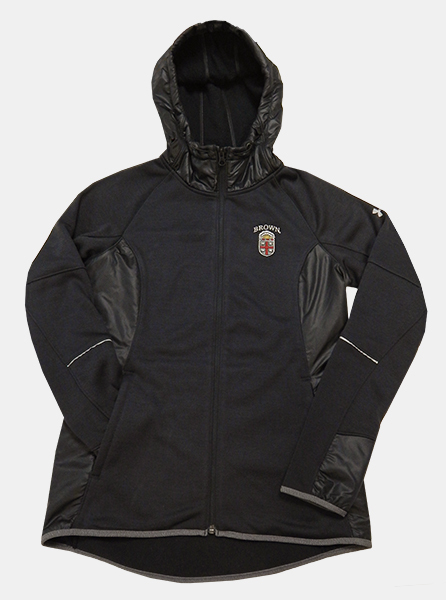 Please select option for Cutter & Buck Women's Rainier Jacket - Black. 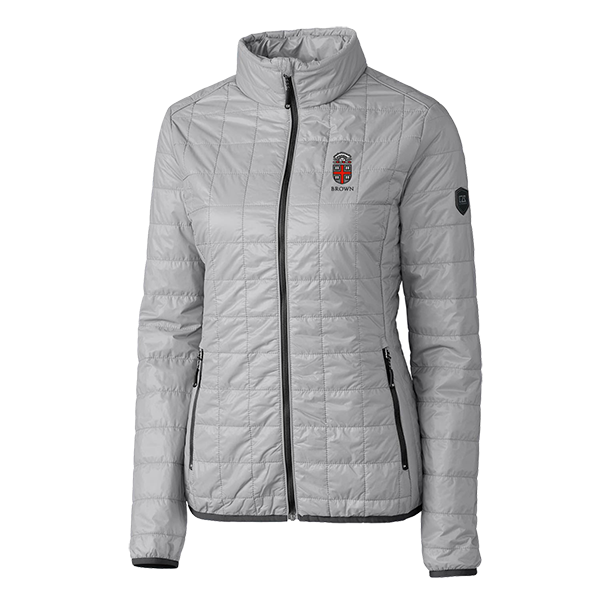 Please select option for Cutter & Buck Women's Rainier Jacket - Silver. 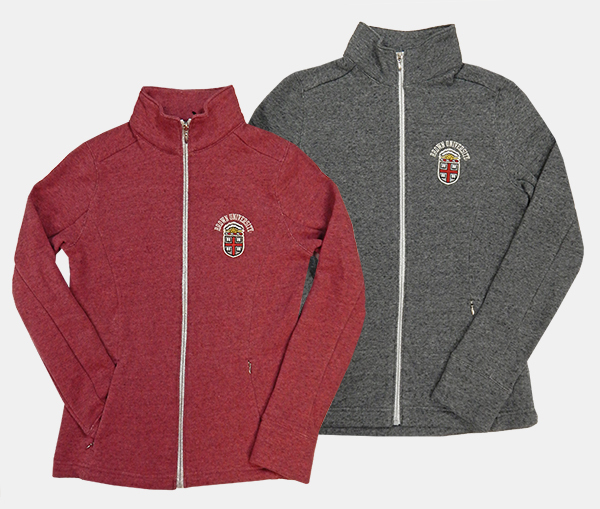 Gear 60% cotton, 40% polyester, semi-fitted, full silver-zippered, women's jacket with zippered side pockets. 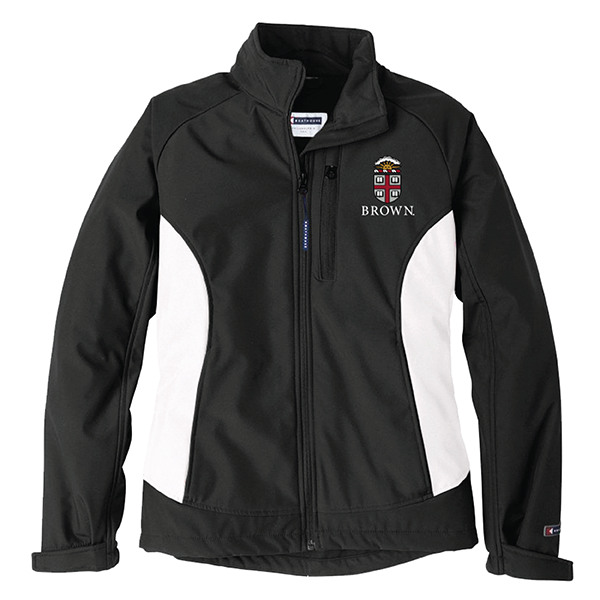 'BROWN UNIVERSITY' embroidered in silver above embroidered cardinal, grey, black, white, and gold Crest patch with silver embroidered outline on upper-left chest. 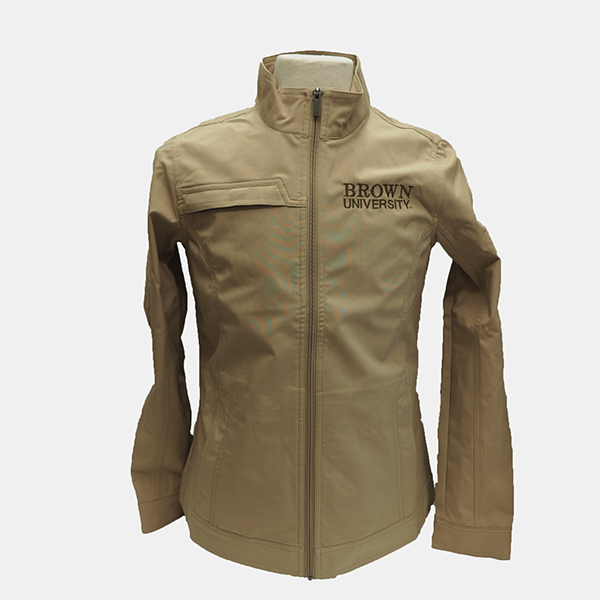 Please select option for Gear Crest Zip Women's Jacket - $69.99. 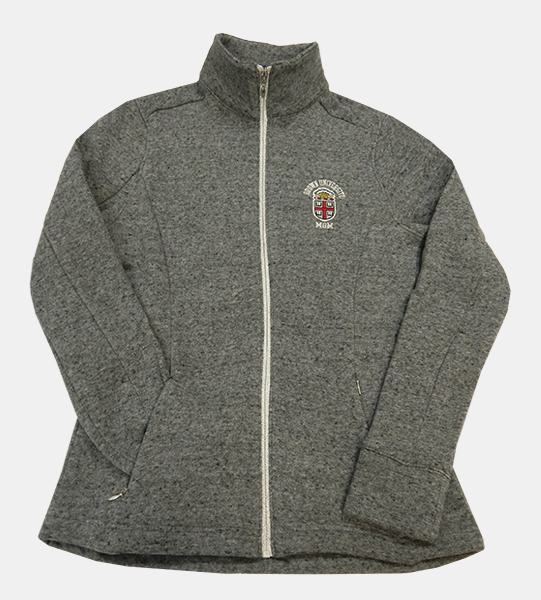 Gear 60% cotton, 40% polyester, semi-fitted, full silver-zippered, women's grey jacket with zippered side pockets. 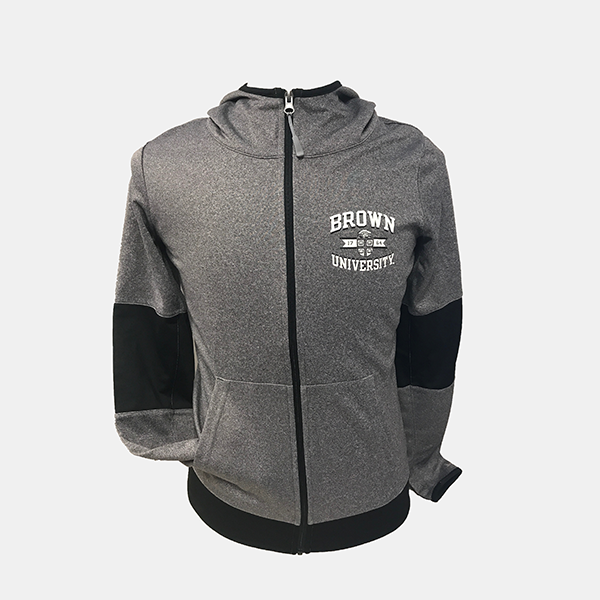 'BROWN UNIVERSITY' embroidered in silver above embroidered cardinal, grey, black, white, and gold Crest patch with silver embroidered outline above 'MOM' embroidered in silver on upper-left chest. Please select option for Gear Mom Grey Crest Zip Women's Jacket - $69.99. 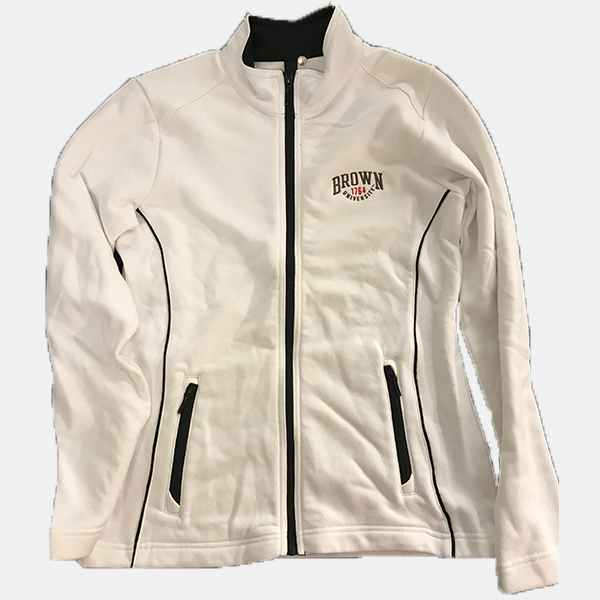 Gear 80% cotton, 20% polyester, white jacket with black zipper in center and black zipper pockets, black seam along sides, and black inside collar. 'BROWN' imprint in brown lettering on left chest above '1764' in cardinal and 'UNIVERSITY' beneath in brown lettering. Please select option for Gear White Est. Zip Women's Jacket. Under Armour Storm1, coldgear, loose-fit, water-resistant, 100% polyester, bungee-adjustable fleece-lined hood, full-zippered, black fleece-lined women's jacket with contrasting side panels, reflective trim on sleeves, grey trim on end of sleeves and bottom, zippered side pockets. 'BROWN' embroidered in white above embroidered grey, cardinal, black, white, and gold Crest on upper-left chest. Please select option for Under Armour Storm1 Black Zip Hooded Women's Jacket -$142.99.